What Happens to Civil Lawsuits I Filed After I Die? Even if you do not own much in the way of property, you still need to have a valid Florida will if for no other reason than to ensure there is a personal representative to take charge of your affairs as soon as possible after your death. While Florida law does provide for the appointment of a personal representative in the absence of a will, this can lead to unnecessary delays in opening your estate. And the resulting confusion may have an adverse affect on your estate’s legal interests. One thing many people fail to appreciate is that when they pass away, they may still be involved in active litigation, either as a plaintiff or a defendant. If you were the plaintiff in a civil action–say, a personal injury lawsuit–you will want to make sure a personal representative is in place to continue the case without delay. But when it is unclear who your personal representative is, even a brief delay may cause problems for your civil case. Here is a recent example from here in Florida. The decedent in this case died in November 2016. Four years earlier, he was arrested and allegedly beaten by corrections officers in Miami-Dade County. A few months before his death, t2he decedent filed a personal injury lawsuit against Miami-Dade and one of its officials. The day after the decedent passed away, his lawyer asked the federal judge presiding over the personal injury case to stay the proceedings for 90 days until they could identify and locate the personal representative. Under federal court rules, the personal representative must be substituted as a party for the deceased plaintiff. This substitution must be done within 90 days after the court is notified of the party’s death and the personal representative is served. Here, the 90-day deadline expired the day before a Florida probate court held a hearing to appoint a personal representative for the decedent’s estate. When the probate court would not schedule an earlier hearing date, the personal injury lawyer asked the judge for a seven-day extension of the stay. The judge refused and ultimately dismissed the case. The 11th U.S. Circuit Court of Appeals in Atlanta, which has appellate jurisdiction over federal courts in Florida, reversed the trial judge’s ruling on this point. The trial judge was under the impression she was required to dismiss the case because 90 days had passed since the court was notified of the plaintiff’s death. But as the 11th Circuit explained, a trial court can extend the 90-day period for “good cause.” The appellate court left it to the trial judge to determine whether such an extension was justified under the facts of this case. Need Help Preparing a Florida Will or Trust? The last thing you probably want to contemplate is dealing with litigation that continues after you die. 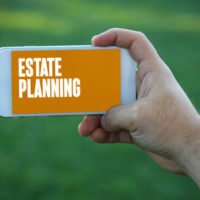 But when your family’s financial future is at stake, it only makes sense to plan ahead and make sure your will, trust, and other estate planning documents are in order, so when the time comes there is no doubt who is in charge of your affairs. If you need assistance from an experienced Fort Myers estate planning attorney, call the Kuhn Law Firm, P.A., at 239-333-4529 to schedule a free consultation today.